When we think about the high cost of college, tuition is the first thing that comes to mind. But there’s a not-so-hidden cost that often gets a pass because it’s been rooted in college tradition. For years, this cost has been a burden to students, but we haven’t identified ways to cut it because it’s “the way things have always been.” I’m speaking of the cost of textbooks. On April 12, Gov. Andrew Cuomo got it right when he signed legislation that not only provides free tuition but also includes an $8 million investment in open educational resources — known as OER — at the CUNY and SUNY systems. OER are freely available, high-quality materials that can be downloaded, edited, and shared — and, in my experience, are a cost-saver for students that have also helped to improve performance and course completion. As an open education librarian at CUNY, I’ve seen firsthand how OER are an important part of the solution for addressing the skyrocketing costs of higher education. Each year, CUNY enrolls nearly 280,000 degree-seeking students and nearly 500,000 students overall. 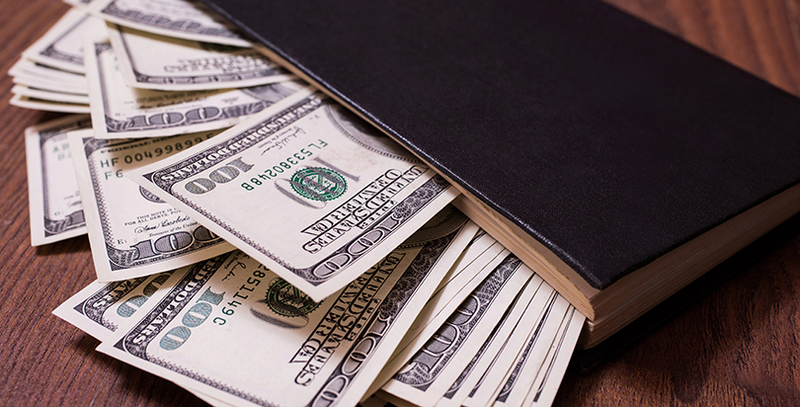 For many of our students, textbooks can be prohibitively expensive. Since nearly half of CUNY’s students come from households with annual incomes of less than $20,000, spending an average of $1,200 per year on books and other supplies is too often an insurmountable barrier to academic success. In many cases, students choose not to register for courses that require expensive textbooks, or they end up withdrawing from or failing courses because they cannot afford the materials. Worse yet, many are often forced to make sacrifices on other important expenses, such as food and rent, or need to pick up second and third jobs to support themselves, taking precious time away from their studies. This pattern can lead to an increase in the number of years students spend in college and decrease their likelihood of earning a degree. The CUNY Office of Library Services and CUNY libraries have worked to alleviate this cost burden on students. Libraries and librarians are a natural fit for these efforts because they serve as a central support system for faculty and students, have an invested interest in curating materials, and have copyright expertise. Several years ago, as part of CUNY’s Textbook Initiative and Student Financial Aid Initiative, $3 million was allocated to CUNY Libraries for purchasing traditional textbooks. Spending millions of dollars on textbooks year after year, however, is not sustainable — particularly as subject matter is constantly changing, requiring new and expensive versions of books. To give some perspective about what this means for our students, consider that CUNY’s Borough of Manhattan Community College enrolls 5,400 students in its Introduction to Psychology classes. The textbook for that course costs $190. If all sections of that course adopted the OER model, student savings would be $1,026,000 in one year. And that’s just one class at one community college. Importantly, OER provide more than just cost savings; they also show promise in improving student outcomes at CUNY and other institutions. In one math course using OER at CUNY, students scored 10 points higher on the final exam and were three times as likely to pass the course as students using expensive materials from traditional publishing companies. In a controlled application of OER at Tidewater Community College in Norfolk, Virginia, students utilizing OER resources in a variety of course formats fared up to 11 percent better in both course completion and achievement. In addition, more than a dozen peer-reviewed studies have found that students who use OER perform as well as or better than their peers using traditional textbooks. New York state’s $8 million investment in OER at CUNY and SUNY will make a difference in the lives of so many of our underserved students. Not only does it create tangible relief and possibilities for students in need, but there’s evidence that it’s actually changing what’s going on in the classroom with increased student engagement, performance, and class completion. The beauty of this investment is that once the change is made, we don’t pay for it again; it pays forward. And I’m proud that CUNY is on the fronlines to lead this change. Ann Fiddler is the Open Education Librarian at the City University of New York. She coordinates OER initiatives for the university through the Office of Library Services.